Home Topics of Interest Adrenaline Junkie Coorg – The best two days of my summer vacation! Bangalore is one of my favourite holiday destinations. I love visiting the city during my vacations. I’m mostly a mountain person and I love going to treks. But, this year’s summer was different. When I am not yearning for an adventurous journey or a challenging trek, the hills of South India seem to be the next option. Kodaikanal and Ooty have been on our bucket list for a long time now but we wanted a place away from the hustle bustle of the city life and touristy crowd. And that is where Coorg came in. 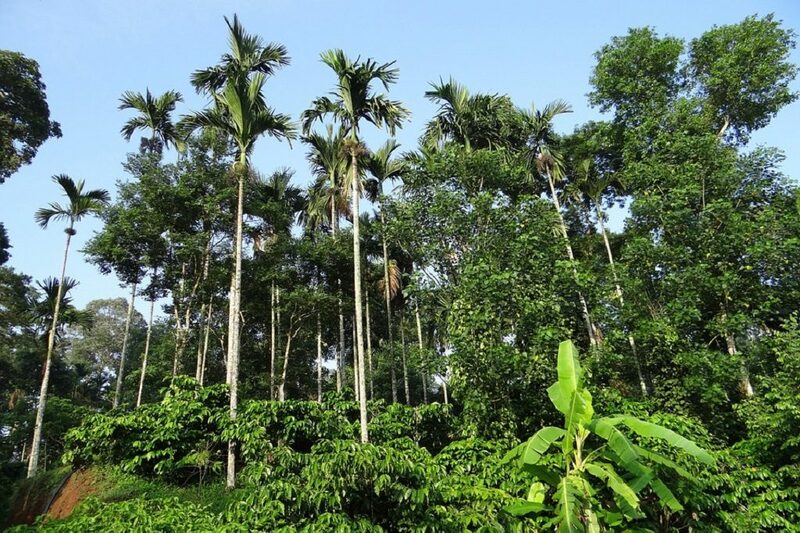 No internet connection for two days with minimum network coverage can definitely leave anyone mad, but not when you are surrounded by big hills, coffee plantations, colonial wood cottages, and excellent hospitality. 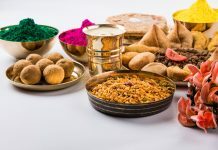 It took us a lot of time to get out of the hustle and bustle of Bangalore but then it was soon the time to enjoy the green expanse of the country-side; coconut trees lined up in rows, green paddy fields and quaint villages on the outskirts of small towns. If the green soothed the eyes, the cool breeze served as a coolant to the summer heat, and made the 300 km journey comfortable. You will face a lot of traffic on the Mysuru highway if you don’t start out early from Bangalore. To those who think that Coorg is a hill station, note that Coorg is not at all a hill station. 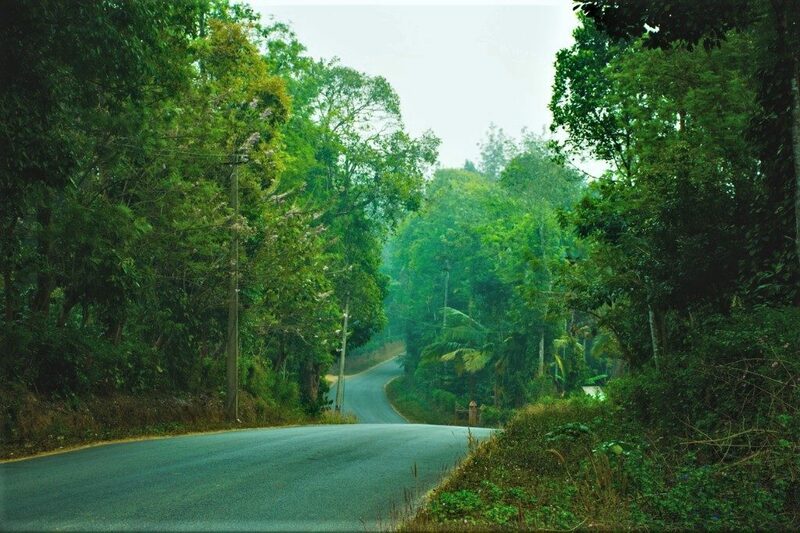 It is actually another name for the Kodagu district in Karnataka and has many locations and road trips to offer. I didn’t know this either and only realised it when speaking with the locals. 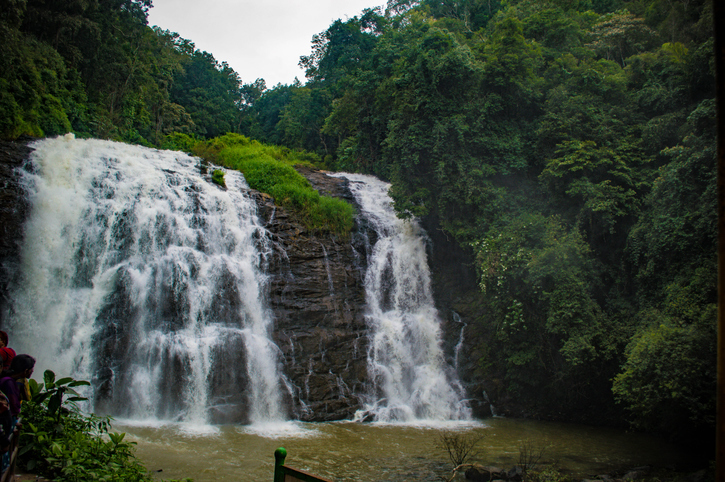 There are two major towns in Coorg to stay in – Kushalnagar and Madikeri. We stayed at Kushalnagar. After the tiring 6 hours long journey (almost 2 hrs delayed as per Google Maps), there we finally were at the hotel. Thank god, we had already booked in advance, or the only other option for our stay would have been our car! 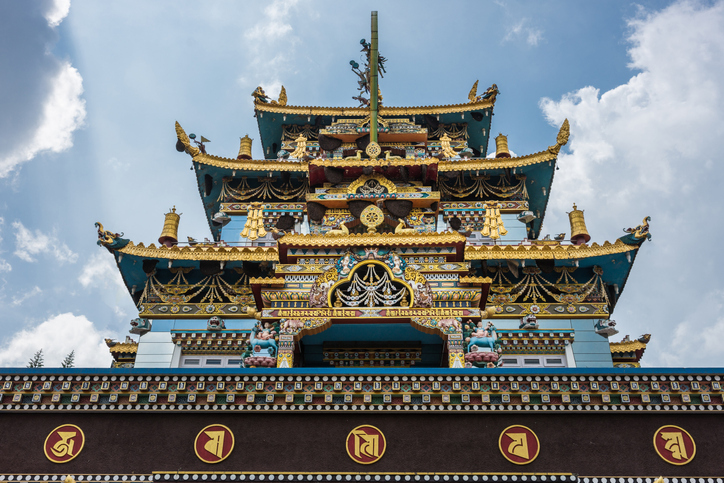 Out very first stop in Coorg was the Buddhist Namdroling Monastery, popularly known as The Golden Temple. Located around 6km from Kushalnagar, in Byalkuppe it is a most scenic monument. This is the second largest Tibetan settlement outside, and there were around 7000 monks and students at the monastery. The monastery is a great spot of attraction for tourists coming from all over India. However, the temple was closed for renovation purposes. All we could do there was to explore the beautifully maintained gardens and the monastery complex. You find such a peaceful environment in these monasteries that words can’t explain it. After the monastery, Nisargadhama was the next place we visited for lunch. There is a 25-acre island formed by Kaveri River, abundant with bamboo and teak trees and wildlife. 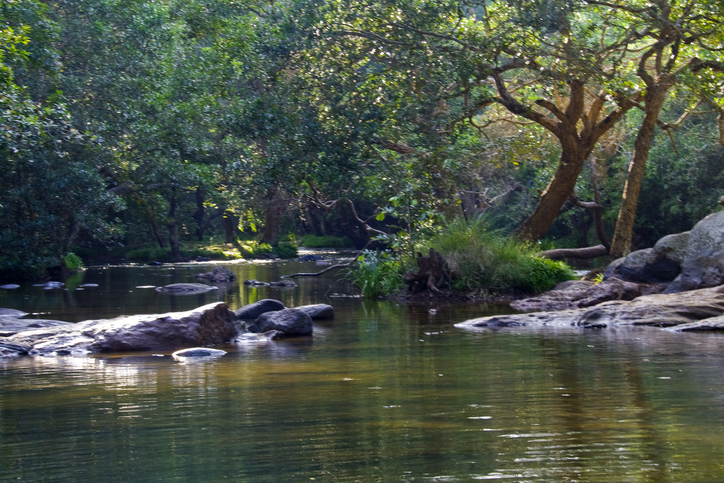 Nisargadhama is a forest stay resort in Coorg and was no less than a wonder. I would suggest a stay for everyone at this resort. After all the fun, we wanted to see the Nisargadhama forest, but found it to be closed. A young elephant at the Dubare Elephant Camp. 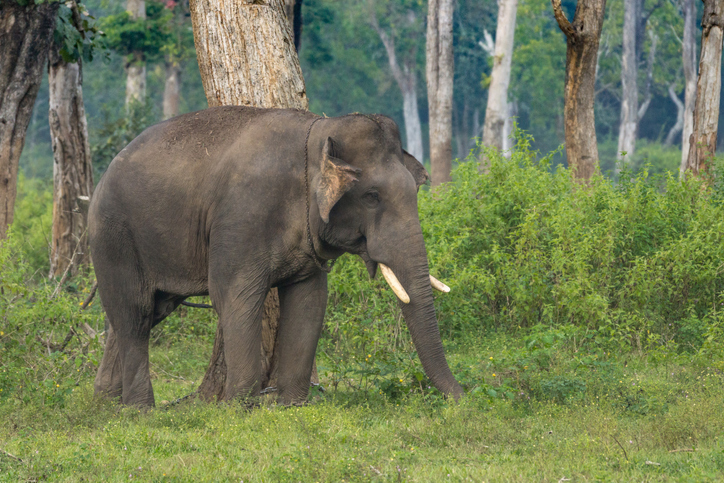 Visitors to the Dubre Elephant Camp can not only watch and enjoy but also take part in various activities involving elephants and the way they are trained by the mahouts. Dubare also offers adventure activities like trekking, river rafting and fun fishing. The Dubare Elephant camp has around 10 cottages with attached bathrooms and a bar too. We had a great time here. We also enjoyed fishing as some small children fed popcorn to the fishes. The overall evening scene at Dubare was just enchanting! And that was the end of our first day in Coorg, and to save energy for the next day, we went straight ack to our hotel. We set out early for this spot near Madikeri. This 30 km journey was so attractive, so serene, and so green that it was the best mini road trip. The lush greenery on both sides was scenic. I kept the window open to breathe the cool breeze. Raja’s Seat is on top of a hill and is generally covered with clouds. 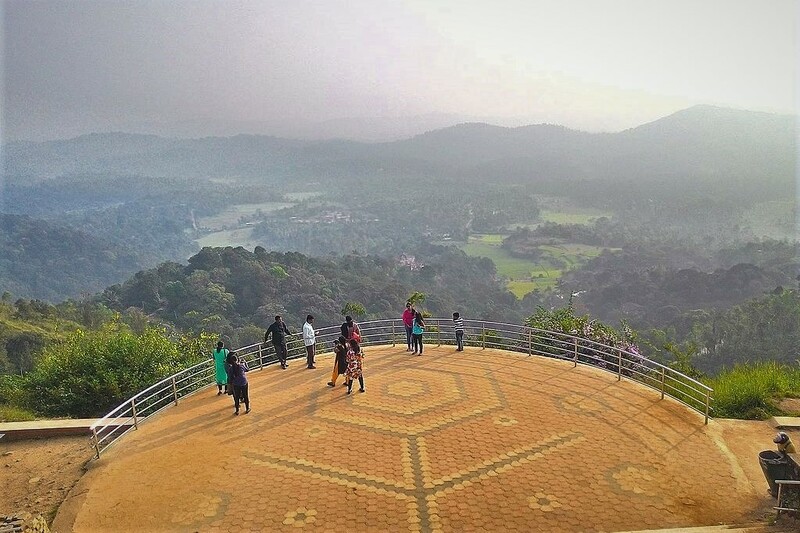 Beautiful stairs take you up to the Coorg valley view point. The garden maintenance here leaves you awestruck! This temple is at a walking distance from Raja’s seat. 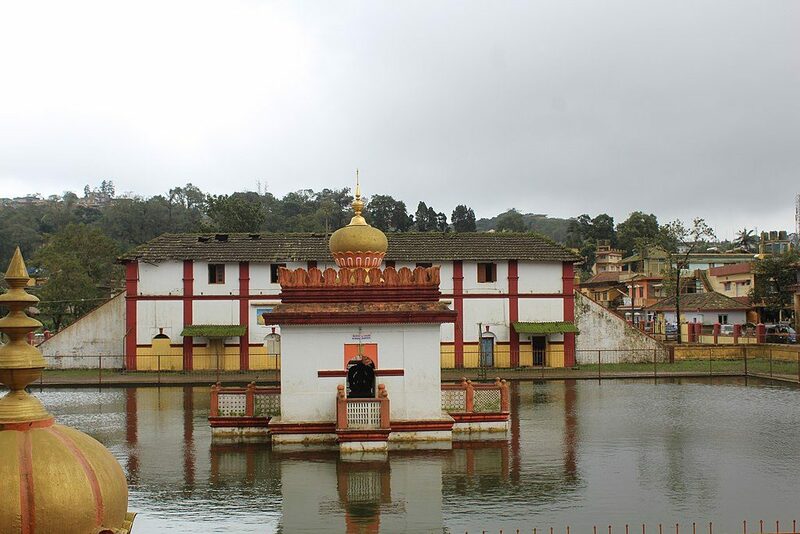 The temple complex is dedicated to the Hindu deities Lord Shiva and Lord Ganesh. The temple also has a pond in which you can see beautiful fishes and ducks swimming around. Our next spot was Abbey Falls; I had been waiting until our last day to visit this beautiful waterfall. It lies around 7 kms away from Kushalnagar, through beautiful landscape. The magnificence and grandeur of the waterfall left me in awe! And the perfect weather made it even greater. People were restricted only to the bridge entry and were not allowed to visit the interior of the forest. When you search for Coorg, it s said to be the Scotland of India. I visited this amazing location this summer and though I haven’t been to Europe, I can now say that I have seen India’s Europe!